We didn’t arrive in Copenhagen early enough for the Ironman 5k run that took place on Wednesday. 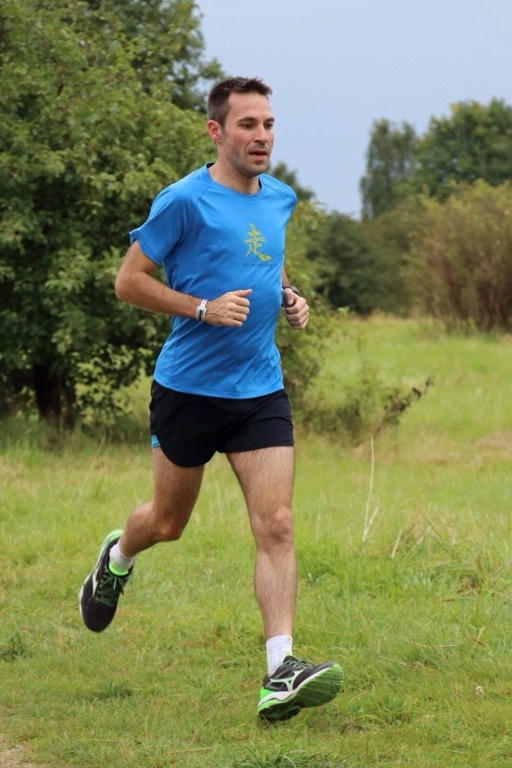 I was keen to take part in parkrun on Saturday morning. 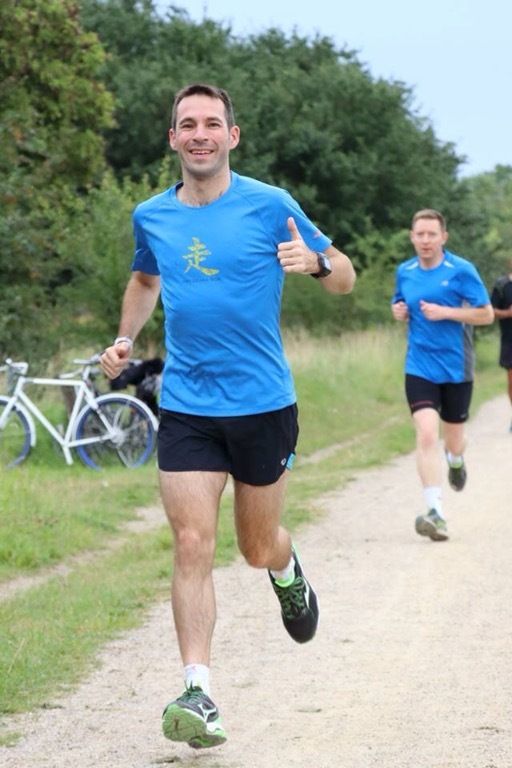 Denmark was the first country outside of the UK to have a parkrun and we knew that there were three in Copenhagen. We quickly realised that the view from our hotel room window was of Amager Faelled. This is where Denmark’s oldest parkrun takes place. We got up early on Saturday morning and dressed in our running clothes before heading down for breakfast. I was worried about Stu doing too much ahead of his ironman, but his coach had told him to do a 20 minute run, so he said he’d be OK to do parkrun with me. We went to the nearby Metro and took the next train to DR Byen, which is the stop nearest to the start of the parkrun. We crossed the road and started walking across the park. After walking for quite a while, I started to get worried as there was no sign of a parkrun. We then saw an older lady running, so we asked her if she knew about parkrun. Of course, she spoke impeccable English. 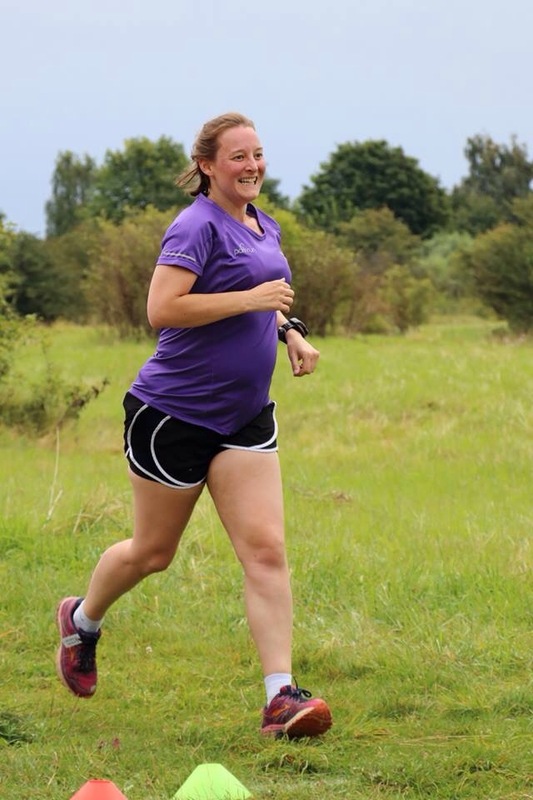 She apologised that she was unsure where the start of Amager Faelled parkrun was and said she thought we should continue in the direction we were going. There were quite a few runners around, but none of them looked like they were intending to do parkrun as they seemed focused on their own workouts. A little while later, we saw some more people who seemed to be looking around. 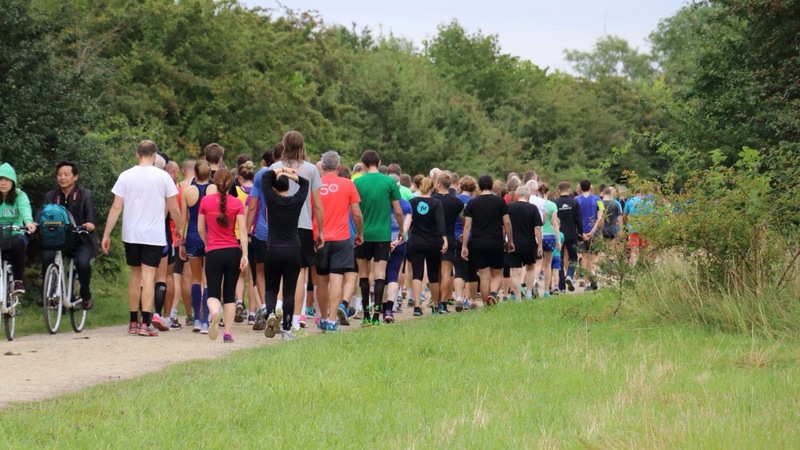 They turned out to be more English people looking for the start of parkrun. Although this event has been running for 7 years, it is very low key. We found a patch of grass and a couple of people who had stopped there with bicycles. Apparently, somewhere nearby was a sign, but we think it was in the opposite direction. There were a number of English people who had arrived to run – mainly friends and family of people taking part in Ironman Copenhagen, like me. Everyone gathered on the patch of grass where a tarpaulin was spread out as a place for people to leave their bags and jackets. The Run Director gave a really good briefing in English and Danish. She also asked who had done the double. We were a little confused until she explained that because of the Ironman set up the parkrun at Amager Strand had had to take place at 8am, so some people had already completed that event. After the briefing, we walked a few hundred metres to the start line that was marked in organic flour. We had been told that there would be no marshals on the run course, but that all of the turns were marked with flour. I set off quite slowly as I was at the back. 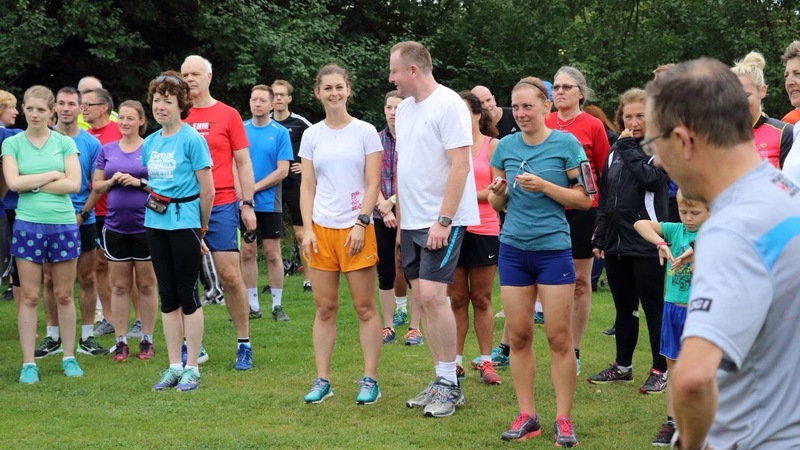 It wasn’t long before I got chatting with a group of parkrunners who were mainly from the Milton Keynes area. This was good because it meant that I maintained a steady pace. The course was mostly flat, with only very minor inclines and declines. I was surprised to see one of the runners emerge from a thicket, but assumed that he had needed a ‘comfort break’, so I thought no more of it… Until he stopped again a couple of hundred metres later and I realised that he was picking blackberries as he ran and filling a small bag! I hadn’t realised from the race briefing that it was a two-lap course. It came as a surprise to pass the flour start-line. I glanced at my watch and could see I was doing quite well. I decided to maintain the same easy even pace and see whether I could finish in under 30 minutes. Just after 4K, my right leg started to feel a bit tired and achy. I figured that wouldn’t do my baby any harm, so I kept going! 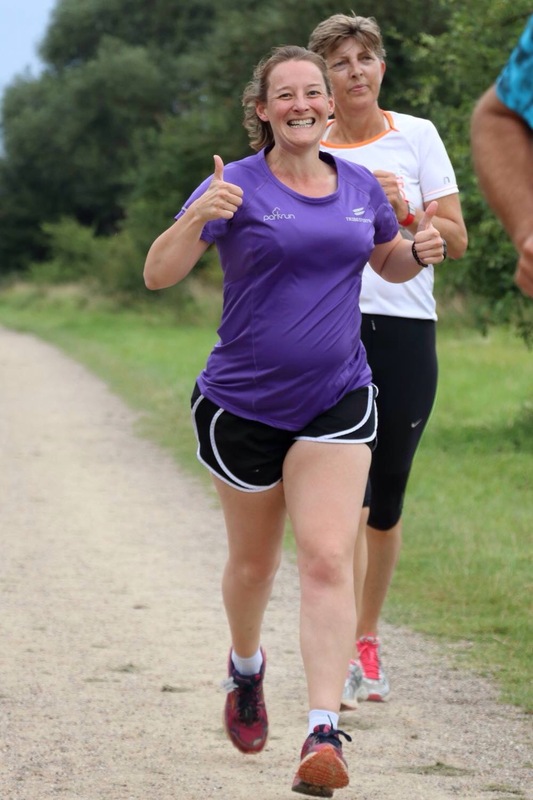 I was delighted to cross the line in an official time of 29:47, which isn’t bad for 32 weeks pregnant. I definitely think the flat course and cool breeze helped. After the run, Stu and I chatted with a few other parkrunners. Then we thanked the Run Director for holding such a lovely event. If you ever have the chance to take part here, I strongly recommend it. It is a small and friendly event. All photos by Henrik Poulsen. Thank you 🙂 I’ve battled with my weight all of my life, so it seems bizarre that I’ve only put on about 6lbs so far. I eat loads (and not always healthily) and haven’t been sick, so the sport must be helping. I think my midwife is probably the only person who will ever tell me that I have good abs!!! I was so shocked to read Miriam stoppards book when I was pregnant and it said that you shouldn’t gain more than a couple of pounds in the first 2 trimesters….. I’d already put on 2 stone!! I went from 81/2 having lost a stone to try to help my fertility to 12! I’d found that bacon rolls and snickers were great for morning sicjness😆😆😆 So well done you! You will reap the rewards when baby is born- not having to carry around your own extra weight as well as a growing baby will be so much better for your energy levels!